Crossfit is a very popular fitness option for both men and women – anyone who wants to do exercises that are a mix of calisthenics, weightlifting, interval training, and stretching, among other things. Yes, Crossfit, which was founded by the Crossfit, Inc. Company back in 2000, encompasses all of those things and more. Whether you work out in your home gym or at a fitness center that specializes in Crossfit, you’ll need the best Crossfit shoes for women. Over the past 18 years, a number of different companies have come out with specialty shoes for this series of exercises. We reviewed some of the best here, in order to make choosing a pair easy for you. Finding the best Crossfit shoes for women can be tricky. There are many different options available, many of which have been made by leading workout shoe manufacturers like Nike and Reebok. According to the experts, the best Crossfit shoes for women are those that balance both form and function while looking stylish at the same time. These shoes need to be able to handle all of the exercises in a Crossfit regimen, so they must provide some comfort and support while giving the wearer some feel for the ground underneath them. The upper body of the shoes should be made of breathable material, which allows for air circulation during a long and intense workout. Whether you work out in a home gym or do your Crossfit exercises in a training center, you need a pair of specialty shoes. In order to come up with a list of the best Crossfit shoes for women, we looked at dozens of them. Hopefully, you find your next pair on this list. One of the highlights of the Reebok Women’s Crossfit Nano 7.0 Track shoes is the fact that they are made of very breathable fabric. The sole is made of rubber, while the woven body of the shoe is both secure and comfortable. You won’t have to worry about your laces coming untied mid-workout with these, as those laces are extra thick and designed to stay in place. What makes these some of the best Crossfit shoes for women? Well, they have what Reebok calls their power launch toe box. This means that the toe section of the shoe is reinforced, giving you some additional support for some of the exercises in the Crossfit regimen. The shoes are also low-cut and do not ride up on the ankle, allowing for plenty of flexibility. They come with a reinforced heel cup for stability and leverage while lifting, and the insole is removable. 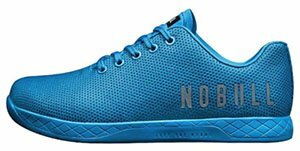 Another shoe that we examined while trying to determine the best CrossFit shoes for women is the NOBULL Women’s Training Shoe. These shoes do double-duty and work for both Crossfit exercises, as well as things like lifting and climbing. Although not considered to be one of the “popular” brands of shoes, the NOBULL company designs the best Crossfit shoes for women who want to work out hard and need a shoe that will stand up to any challenge that is thrown at them. These are not shoes for people who want to play around while doing exercises. These best Crossfit shoes for women come with a sole designed for both inside and outside use. The thick lug patterns provide plenty of traction and support, no matter the list of exercises on your list. On top of this, these shoes come with built-in SuperFabric guard plates on the exterior, which protect your feet when you’re doing things like climbing walls. This upper section is also breathable and is made of a single piece of fabric, making it both durable and resistant to abrasions. This is code for – these shoes will last you for quite some time. Despite the long name, these shoes – the Inov-8 Women’s F-Lite 235 V2 cross-trainers are some of the best Crossfit shoes for women. They are designed to handle exercises like gymnastics, weightlifting, and functional fitness workouts. These shoes come in five different colors and have an extremely low profile in order to enhance your ankle flexibility. After all, Crossfit calls for a number of exercises, many of which require plenty of movement. You don’t want to be bound by your shoes and unable to complete the circuit properly. One of the most interesting things about the Inov-8 Women’s F-Lite 235 V2 shoes is their lacing system. 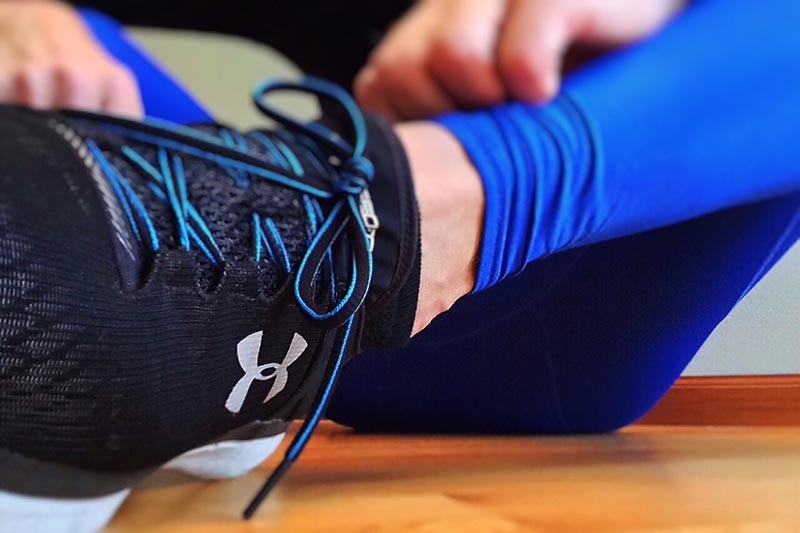 Even if you’re in your home gym, you don’t want to stop your workout in order to re-tie your shoes once those pesky laces have come undone. That isn’t an issue with these. The built-in metcradle lacing system is designed to tighten and loosen slightly as your workout, making these some of the best Crossfit shoes for women. They also have a grippy section that extends up from the sole onto the toe of the shoe, providing you with some additional support while climbing ropes. 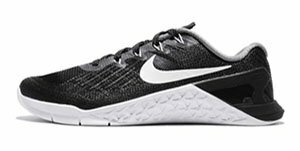 The Nike Women’s Metcon 3 is one of the best Crossfit shoes for women because it provides a good mix of both cushioning and stability. These shoes have flywheel cables on the bottom that allow you to grip the floor when needed while remaining light and breathable. They are both tough and light at the same time. This mix is what makes them one of the best Crossfit shoes for women. Some of the features of the Nike Women’s Metcon 3 Training shoes are the mesh fabric on the heel and ankle sections, preventing your feet from sweating mid-workout. These shoes are designed to handle all of the Crossfit exercises, performing all the while admirably. The areas of the shoes that receive a lot of wear are reinforced, making these some of the best Crossfit shoes for women as far as longevity is concerned. The ASICS Women’s Fuzex TR Cross-Trainers made our list of the best Crossfit shoes for women because they are both stylish and extremely functional. These shoes can handle every one of the Crossfit exercises while making you look snappy and stylish at the same time. They come in four different color combinations and the standard array of sizes. This means that you’ll have no problem finding a pair of these – the best Crossfit shoes for women – that fit you properly. Unlike other Crossfit shoes, the ASICS Women’s Fuzex TR Cross-Trainers have a combination gel and foam midsole. 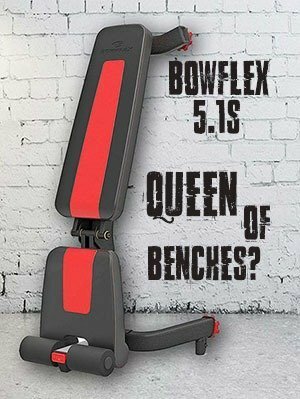 This makes them particularly comfortable while giving you the stability that you need to handle the Crossfit exercises that your trainer will put you through. They come down low in the ankle region, providing plenty of flexibility. The soles are designed to have that perfect amount of grip, and they even wrap around the top of the toe section, enabling them to handle trickier exercises like rope climbing. There’s a reason why we consider these to be some of the best Crossfit shoes for women. Fitness experts will tell you to get training shoes that are designed for the specific exercises that you’ll be doing. This means that some of the best Crossfit shoes for women are those constructed with this multi-intensity workout in mind. 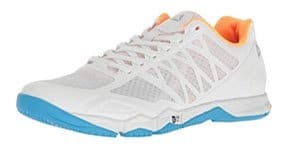 The Reebok Women’s Crossfit Speed TR Cross-Trainers (the second of these shoes made by Reebok on our best Crossfit shoes for women list) come in a number of intense colors that will make you stand out in your fitness center. The best Crossfit shoes for women tend to be lightweight and contain a number of important features. These shoes – the Reebok Women’s Crossfit Speed TRs – are no exception. They come with a compression molded midsole, a low-cut design, and a body made of a compression sleeve. As a result, once they’re on, these shoes fit like a glove and provide plenty of comfort and protection while feeling like you barely have anything on your feet. They really do move with you. The soles have metaflex toe grooves that will help you grip the floor, whether you’re completing a number of callisthenic exercises or doing some Powerlifting. Under Armour first appeared on the market with their cold weather workout gear. These tight-fitting shirts and pants were designed to keep people warm while exercising. The company has since expanded, and now produces some of the best Crossfit shoes for women. We believe that these shoes, the Under Armour Women’s Threadborne Push, deserve to be on this list because they are thoughtfully designed and are both practical and stylish. These shoes – some of the best Crossfit shoes for women – are designed to provide plenty of support for the multi-directional movement. They do this with the help of dynamic webbing loops that are built into the body of the shoe. These loops move when you do, supporting you no matter which directions your exercises take you. The upper portions of the shoe are made of breathable fabric as well, allowing for air circulation during tough workouts. The forefoot wrap, which goes around the upper section of the toe box from the sole, is made out of rubber in order to give you extra grip and traction when you need it the most. The interior of the shoe consists of a full-length EVA sockliner that makes these shoes particularly comfortable to wear. This, plus the outsole traction pattern, which includes rubber pods in very strategic places, will give you plenty of traction when you need it the most. Although these shoes are primarily designed for people who practice HIIT cardio, they function well for those who do Crossfit as well. This is why they’re on our list of the best Crossfit shoes for women. These fitness shoes from Altra come in only three different color combinations and tend to run small, but this doesn’t mean that you won’t be able to find just the right pair of them for you. The Altra Women’s HIIT Xt Cross-Trainers are designed to help you improve your overall foot positioning and form. This makes doing Crossfit exercises safer, preventing common injuries from occurring. They have a sculpted footbed, and the upper exterior is made of a quick-dry mesh. The zero-drop platform is fully cushioned for comfort, while the soles can best be described as being made of “sticky” rubber. You definitely won’t slide while weightlifting with these shoes on. That’s it. Hopefully, with the help of our list of the 8 best CrossFit shoes for women you will be able to choose the ones that will suit all your needs.